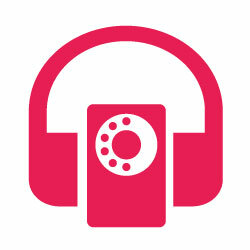 Whether you need interpreters and equipment or just the equipment, we got you covered! 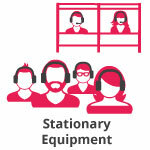 We have an extensive inventory at your disposal: Portable and Stationary SI Equipment as well as AV Equipment. Not sure about what you need? Contact us and we will help you out to make sure your event is a success. The perfect choice for conference rooms and other venues where the audience does not move. The interpreters work isolated in booths so that their voice doesn't interfere with the speaker's. We offer Full Sound-Proof Booths or a more affordable and practical option, Sound-Reduction Table Top Booths. We will set everything up for you no matter what the room layout is. Just give us a call and we will be glad to help. Ideal for tours or events where the audience roams among several rooms. 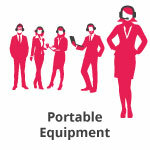 Whether on a bus, walking outside or in several discussion rooms, this portable solution will let every non-English speaker feel included at all times. Our digital Transmitters together with our ultra portable receivers are the perfect match for your event. At Spanish Solutions, we want to make sure our clients worry the least. 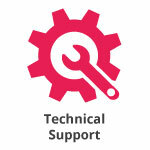 A specialized technician will set the equipment up and make sure it works perfectly. At the end, he will tear it down and pick it up at the venue. You can also hire an On-site Technician to be present at all times.